This is not where you come to submit an order for these products. This is where you come to "window shop" and get to know the products that you will find available for purchase once you click "add to cart" on a photo from your photo gallery. Your cart will also be the place to see the price, size, other details of each item. I’ve spent countless hours researching the top 5 most recommended professional printing labs in the industry, comparing my own prints from each of those labs, educating myself about each lab’s printing processes and annoying the heck out of my husband with my all-consuming fascination with the process. It’s been a long road that began with a terrible printing experience for one of my clients who used an extremely popuar online bargain printer (hi, Judy! ), but I can say with complete confidence that I’ve chosen the lab that outperforms all others, and I did not come to that conclusion without due diligence. I’ve also chosen products to sell that ranked the highest among consumer satisfaction, and if there’s something you have in mind that you don’t see below, ask me about it—because I can make it happen for you. I’ve printed samples of each one of the items listed below just to make sure I could adequately describe them on this page for you and more importantly, to establish a relationship with the lab before I start ordering for my clients. With my professional reputation on the line and the lab’s entire business dependent upon a photographer's trust in them, you can bet both of us will work together to make sure that what gets hung on your wall or displayed in your album is exactly what you see on the screen. This is the paper I recommend above all others if you want that "sweet spot" in color+texture. Imagine luster being the love child of matte+glossy, making it the best of both worlds! It offers the color saturation of the glossy finish, with the fingerprint resistance I love so dearly with the matte finishes. BONUS POINTS: it’s archival grade and it’s pretty wear/tear & semi-water resilient by itself (meaning without an extra coating of luster). Pearl is a very pretty finish when used on the right set of photos and I’d say it’s my 2nd recommendation behind luster. The finish is definitely glossy, but has a cool pearl-like sheen to it in the light. It produces very sharp details and looks great with bright colors. Pearl will make the colors and contrast in your photos pop—it's prone to collect fingerprints so keep that in mind for album prints. This option offers bright whites on a non-glare, super smooth paper. The lusterless surface creates the pinterest popular matted color reproduction with subtlety and softness that so many people love these days. Great with light images, skin tones, and black and whites. Fingerprints are not visible so that’s a major plus. While it’s easy to choose the wrong image to print on this paper, it does have the potential to blow you away with the right image--it’s just tricky because a little metallic goes a long way so if you're unsure, don't be afraid to ask! It’s a very dramatic, intense, high-gloss finish perfect for some added drama. I do recommend this finish for high-intensity action photos because it produces an almost chrome-like appearance and with an increased color gamut, leads to rich tones of eye-popping color and exceptional sharpness. These are individual prints that are printed on the highest quality Fuji paper of your choice with the same color reproduction & sharpness you see on the screen. Order as many prints as you want in whatever size you want. 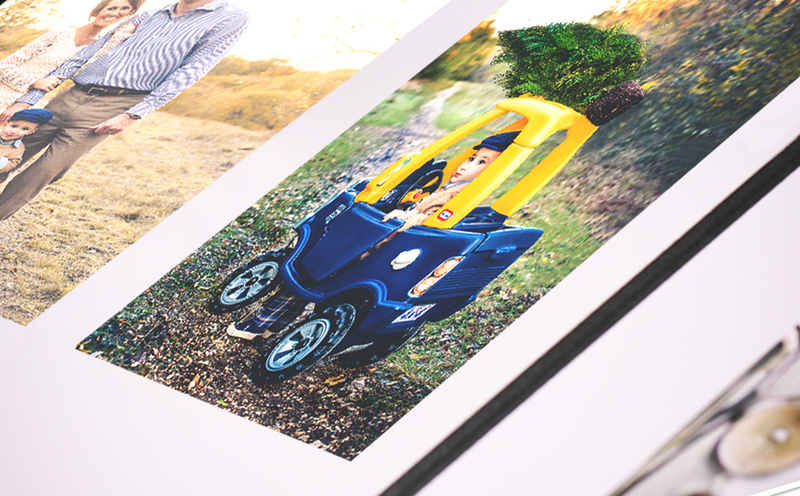 There are no minimum order requirements and you can mix n’ match size, paper type and number of prints for each photo. These are precious little 5x5 bite-sized photos that I have ALL OVER MY HOUSE. These don't fit 4x6 albums or frames, so keep that in mind! 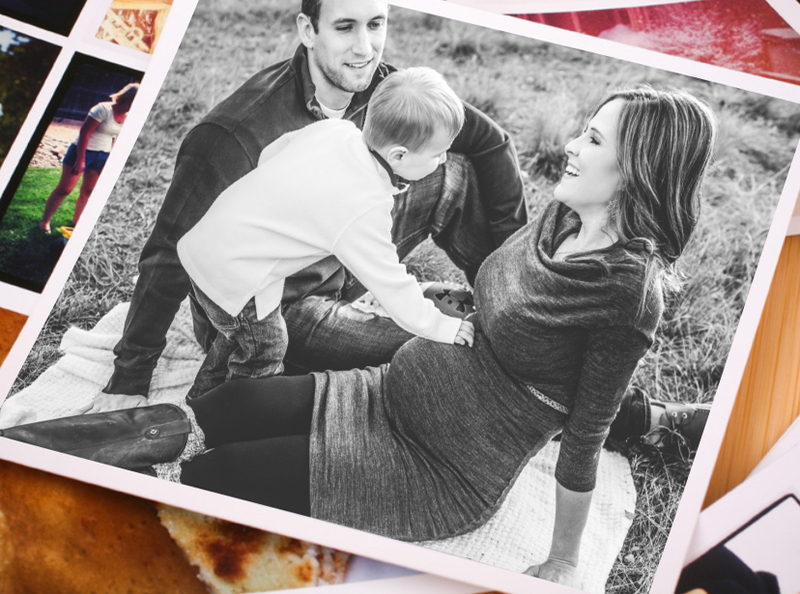 The adorably retro, super fun & modern mini snapshots. These feel very throwback, which I happen to love—so if you’re looking for unique ways to display your photos (particularly since these are small and won’t need tons of space) this is the way to go! How could I not add these nostalgic little gems to my product list? These are super fun as gifts for family members and obviously, they are great conversation pieces and refrigerator décor. This is the only fully-assembled, album I offer at this time because I've been so impressed by them! I cannot say enough about the quality of these albums. All of the pages are super thick so you won't have to worry about any awful warping that occurs with flemsy album pages over time, and the photos also arrive professionally mounted to withstand wear and tear for 100 years. 5x5 books have 20 pages and a full fabric cover. 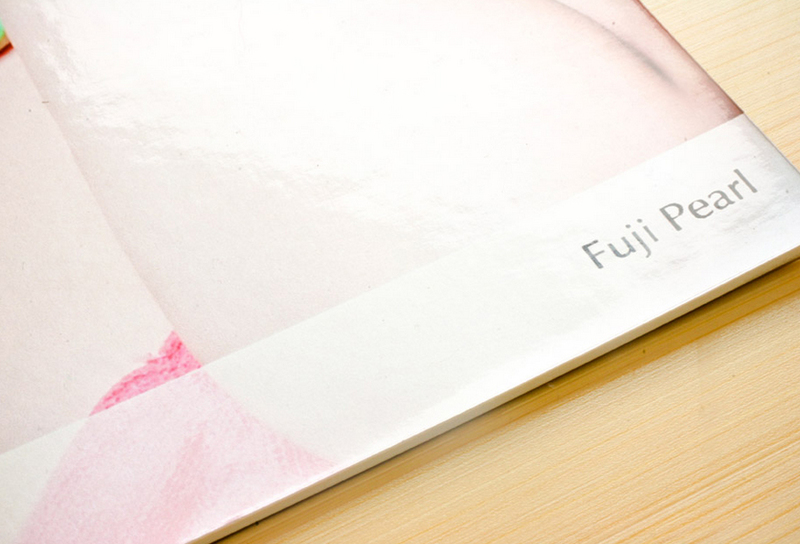 8×8 books have 30 pages and a 3″x3″ cameo image inset in the cover. With tons of different sizes and super fast lab times, I personally can't say enough about the canvas prints! These are printed on 400GSM white poly-cotton canvas, which is just a fancy way of saying that you'll be hanging up top-of-the line color rendition, saturation and sharpness. Keep in mind, with bargain printer canvas, you never know what might arrive at your doorstep! I included the top 3 canvas sellers and this one came in at #2 for obvious reasons. These are sort of an alternative and very modern display option for the classic canvas material. Unlike it’s cousin, the gallery wrap, floater’s are wrapped around a lightweight/thin gatorfoam board and finished with black paper backing and a foam floater block with pre-drilled holes for easy hanging. If you’re looking for something a little more visually interesting and unique, you’ll love these! They sort of pop off the wall so they are fantastic for images with bright colors. 3/4″ floater blocks give your Canvas Float the illusion that it is floating over the wall. These are non-mounted, non-framed, non-wrapped canvas prints that are great for DIY projects. Ok, we’ve come to my favorite product! I looove these! 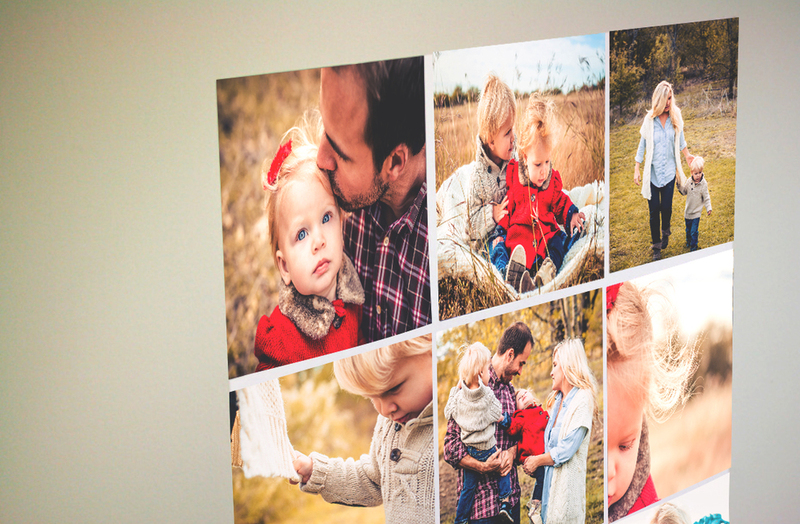 I’m going to sound like an infomercial for a second, so I apologize, but wall clings are the perfect way to show off your images bigger, better and cheaper than ever—you cannot find these prices for these sizes anywhere else. In the simplest terms possible, it’s a patented fabric printed with inkjet on a re-positionable adhesive material so that it’s easy to install, remove, replace/ move to new locations. I promise you guys, the fabric does not crease, wrinkle, shrink or curl and it can be pulled apart if it folds during installation. The finish is similar to silk and it’s 90% opaque so it’s highly recommended that it’s positioned on a clean, dry, smooth wall away from air vents and direct light. 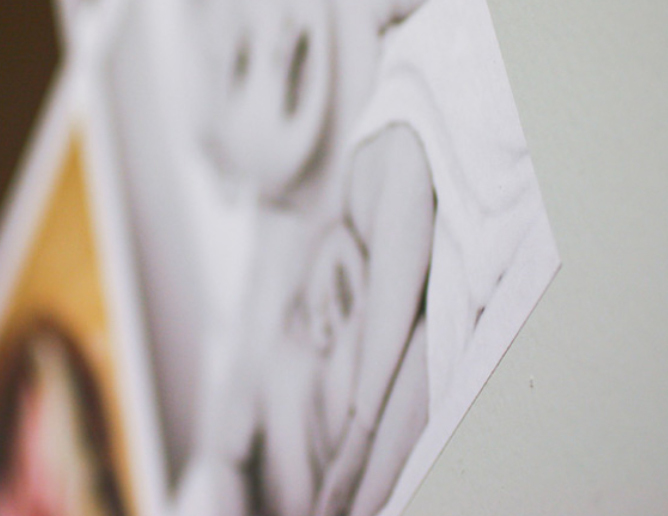 Wall Cling material is about 90% opaque, so wall color will slightly affect the appearance of your image. 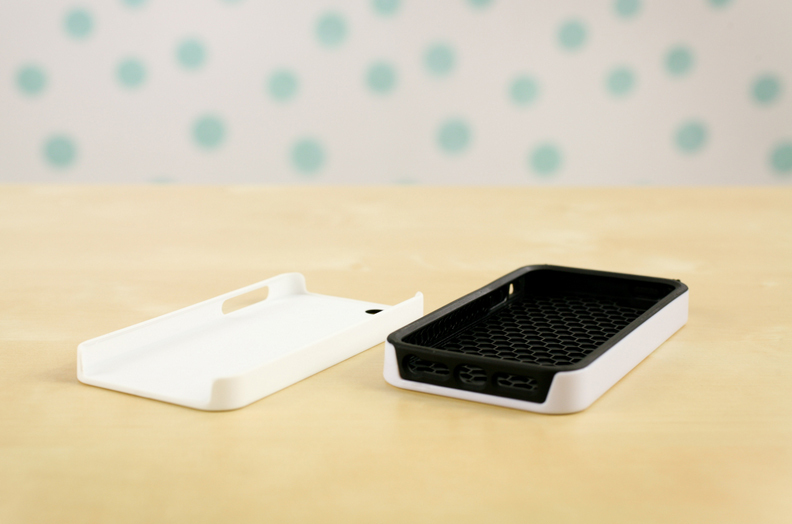 It’s hard to tell in the photos, but there is a slim matte case that has a smooth, matte finish and a thin casing that’s very lightweight…and then there’s the glossy case that is almost double the thickness of the slim case with additional interior protection. If you have kids, those differences are important! 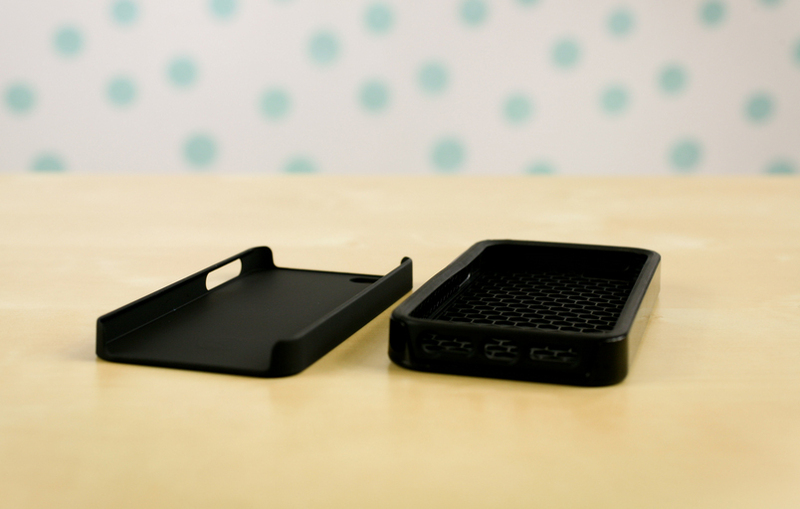 *IMPORTANT NOTE: Cases intended to work with Apple charger and headphones. Some 3rd party accessories may not be compatible. Designed to hang vertically, the top of each wire includes a small loop for hanging and the weight at the bottom keeps the wires straight. 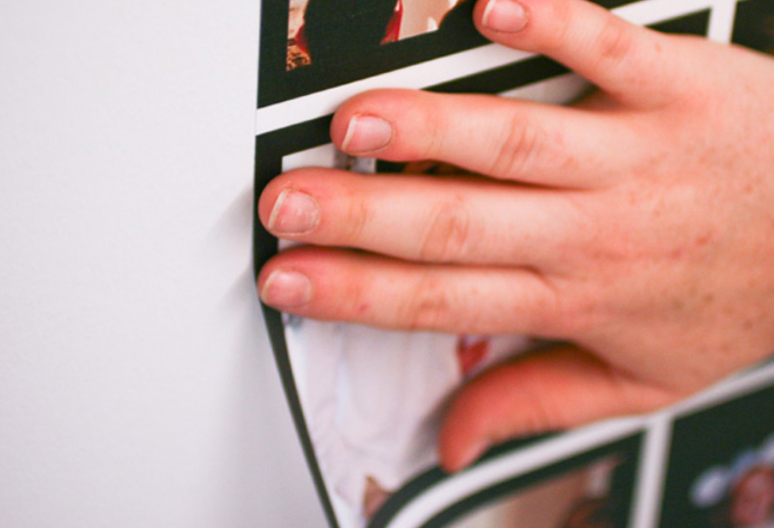 They’re easy to install and you can change out the prints whenever you want—if you even decide to use photos. You could hang anything on them. Quantities: 1, 3, 6, 12, or 24. These make adorable gifts and really fun conversation pieces on the coffee table. They’re made from a durable plastic material with a gloss finish and protective cork backing. I had to add magnets because I’ve ordered so many of these myself for us and for my family. Who wants their daughter’s finger painting hung up with a Papa John’s magnet? If something is going to cover up that stainless steel I work so hard to keep clean, it better be something that makes me smile each time I visit the fridge! If you are not happy with your prints, I will have them completely re-done until you are happy at NO cost to you. I will call up the lab and we will get to the bottom of the issue, and you have my word on that! Yes, I am willing to spend my own money on your happiness because 1. I LIKE YOU and 2. I worked really hard editing those photos and you’ve spent good money on them and I would hate to see all of that time/money go down the drain. That’s the beauty of printing through your photographer. You click on some boxes, choose a size and the type of paper you want and I do the rest.